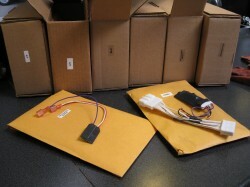 Coastal Electronic Technologies Inc. (also known as “Coastal ETech” or “Coastal Electronics”) produces a variety of aftermarket products to modify Toyota hybrids along with a smattering of other cars. Most famous are their Lockpick and EV Mode kits, both cleverly designed to alleviate some of the primary deficiencies of the Prius, which Luscious Garage has proudly offered for over a year. As a small, hybrid-focussed business, Coastal E-Tech shares our market but also some of our challenges: to produce cutting-edge products, to keep up with customer needs, and to manage all the potential administrative BS behind the scenes. Sympathetic, we have done our best to translate their menu of items and to keep the most popular ones in stock, so our customers need only deal with us. We have never marked up Coastal products since they are already available online to the public. Beloved PriusChat has chronicled some of the Coastal E-Tech drama that, up to now, LG has silently endured. It is exactly this feedback that has encouraged customers to have LG “do-it-for-me” even though many of their kits can be successfully installed by the sensible, tech savvy Prius owner. After our most recent debacle with the manufacturer, however, LG has instituted a thirty dollar “Coast Electronics PITA Surcharge” to all of our services associated with them. As always we will happily install customer-supplied kits for the same installation price (no surcharge) and will continue to inventory their “Prius Candy” that our customers know and love. ← LG now solar powered!